The Division of Corporations of the Vermont Secretary of State’s office traditionally sends out December annual report notices the first week of January to the registered agents on record for various business entities with December fiscal-year-end dates. In the past, this was done through a paper mailing from the state with instructions to go to the state website and either e-file online or print a paper form to be mailed with a check. The due date has traditionally been March 15th. This year, December annual report paper notices will be mailed to the registered agents on record by February 1st with new instructions on how to file online using the state’s new system. 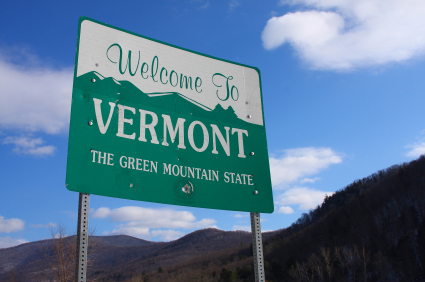 The State of Vermont has extended annual report deadlines for December fiscal-year-end annual reports, and all nonprofit biennial report filings, to April 30th. Please make note of the new deadline. On February 1st the state’s new Online Portal will go live and you, or your registered agent, can login and file your annual report. Note that if you prefer to file by mail and pay with a check, you can go to the state website and obtain/print a prepopulated report for your business entity. By April 30th all December annual reports will be due. The state requests that you please wait for your December Annual Report notice to arrive in the mail from your registered agent in February 2013 before calling their office. To view the state’s website announcement about this, click here. For immediate questions, please feel free to contact your COGENCY GLOBAL INC. Service Specialist or COGENCY GLOBAL INC.'s Annual Report Compliance team at 866-625-0840.